R.E. McDermott nailed it with Deadly Coast. Ripped from the headlines, his second installment in the Dugan series is a serious contender. If you act fast, you can grab both books in his series for .99 on Amazon. I know this is a limited time offer. 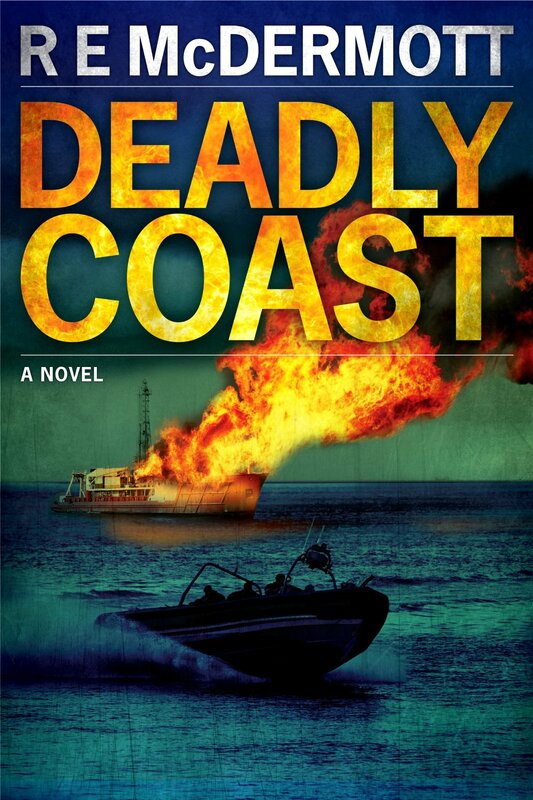 Deadly Coast on Amazon. “Equally as captivating as Deadly Straits, R.E. McDermott’s second novel delivers everything I had come to expect from this subject matter expert, master storyteller. Once again, McDermott’s inside knowledge of the maritime industry and its complex relationship to worldwide piracy lays the foundation for an international terrorism thriller like nothing I’ve experienced. How can McDermott bring an original extremist terrorism story into a market crowded with the same? Trust me. He nails it, with a finely researched, briskly paced, entirely satisfying thriller. From the opening chapters, McDermott had me hooked. As a former naval officer who served on naval vessels in the region described by McDermott, I can attest to the realism and authenticity of the setting and action…though I suspect the author could teach me a thing or three about maritime operations.